2 months ago The shirt was too tight. I can't wear it much. 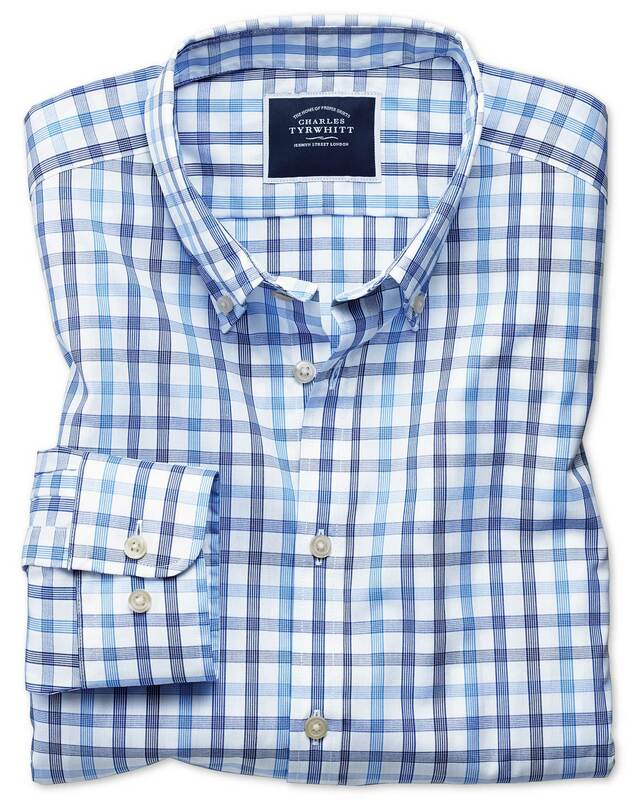 Response from Charles Tyrwhitt: We are sorry that your shirts are not the very best fit for you. We would not wish for you to keep items that you can't make use of and so, please be reminded, that you can return items to us for a refund or exchange within our generous 6-month guarantee period. 5 months ago nice quality and fit. Pleasant colors and design for a business shirt. 6 months ago The material is a bit thin. My choice is either to show skin through the fabric (like the Brits do) or wear an undershirt. Also, the pictures online didn't show the pattern very well. Response from Charles Tyrwhitt: With this shirt being part of the Poplin range, it will be a touch lighter than some others such as the Twill, Herringbone or Arrow weaves. This is great for the warm summer months, but may indeed need a light undershirt as the weather starts to turn. You are always welcome to return this one to us for a slightly thicker/heavier shirt if you wish using the online return service - www.ctshirts.com/rebound. I will share your feedback on the images online with the Web Team, as we want to ensure our products are always displayed in the best possible manner. 6 months ago Great fabrics, amazing design and perfect fit.